I began this series on Linux basics because several of you have expressed befuddlement at working with BackTrack on Linux. As a hacker, there is no substitute for Linux skills. Linux beginners are often faced with the issue of how to find files and programs, especially considering the radically different directory structure as compared to Mac OS or Windows. Beginners sometimes get frustrated trying to find the necessary files or binaries, so I'm dedicating this tutorial to finding stuff in Linux. 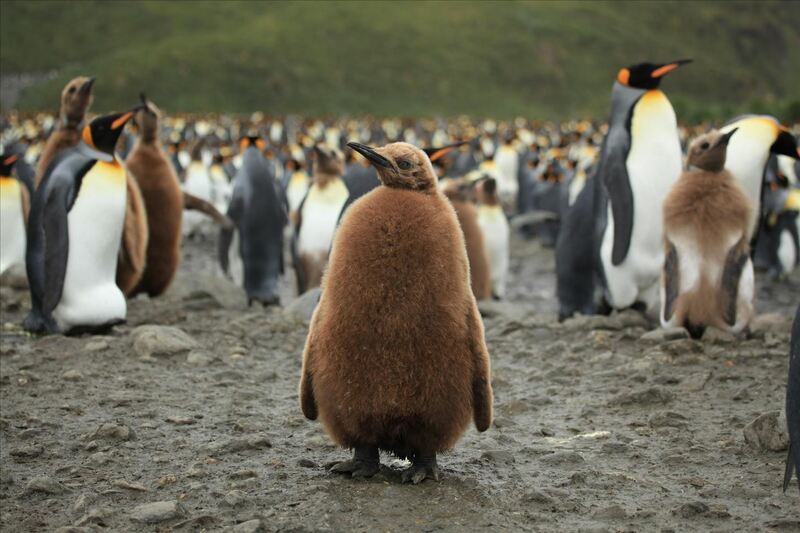 Before we dive in, make sure to check out my previous guides on Linux basics (1, 2, and 3) to get current on our lessons. Note that we need to tell Linux that we want to search by name (-name) and then the name of the file we're searching for. 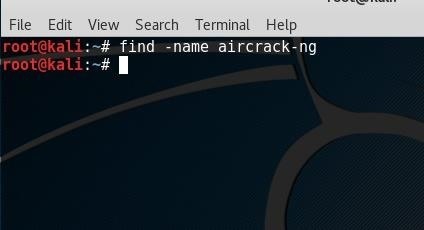 This command says, "look in the pentest directory and all its sub-directories and tell me where you find something called aircrack-ng". 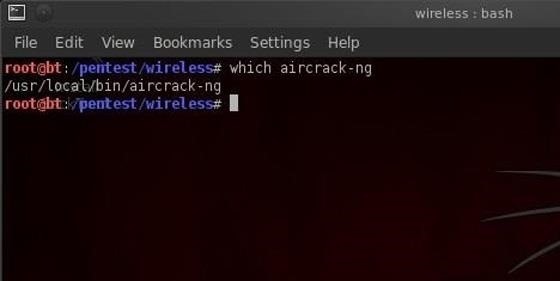 Now, Linux only returns those paths to files that are in the directory /pentest or its sub-directories, such as /pentest/wireless/aircrack-ng and the others. The next searching command we want to look at is which. This command allows us to search for binaries that are in our path variable. Hmm...even I think that's a lot of techo-googlygoop. Let's try to make some sense of it. Then we can see that Linux returns /usr/local/bin/aircrack-ng. 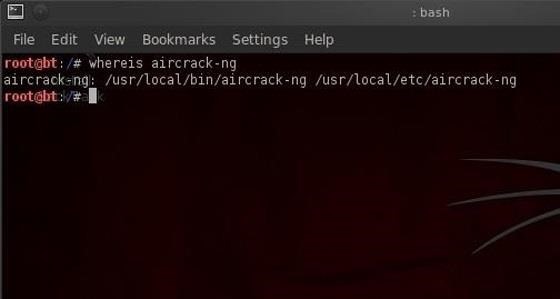 If aircrack-ng were not in a directory that was in our path, it would not be able to help us. 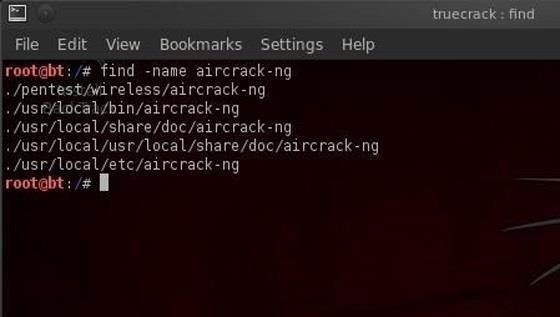 We can see that whereis returns the path to multiple locations of aircrack-ng including the man pages. The locate command can also be used to find files and usually is much faster than either which or whereis. The difference is that locate uses a database of all the files in the file system and searches therefore take place much faster. The drawback to locate is that new files will NOT be found by locate as the database is typically only updated daily, usually scheduled in the middle of the night when activity on the system is light as updating this database can be CPU intensive. You can see in the screenshot above that locate returns a path every time it encounters any file with aircrack-ng in it, binary or not. 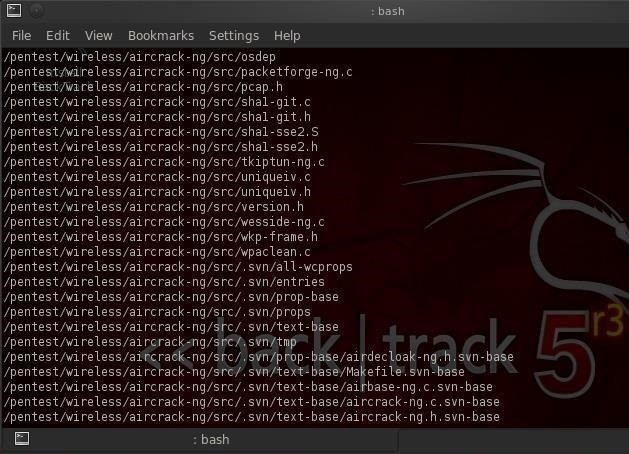 Hope this helps you in finding what you need in BackTrack Linux, therefore making you a better hacker. Make sure to check out the first three parts of this series (1, 2, and 3), and if you have any questions, ask away in the comments below or hit up the Null Byte forum for more help. Come back for my next Linux basics tutorial, and we'll look at how to install new software! Please keep up the series. Great work and it is appreciated. As I use the term here, it means the built-in programs that are called when you type commands like ls, echo, cd, and cp. These programs are stored in the /bin directory, short for binary. After I have used the find command in the root directory it comes up with a blank line underneath the command that I have typed but does nothing after that. I can also type on this blank line. What you type after find. What did you type after the "find" command? Sorry for wasting your time, I closed the terminal and then opened a new one and it worked fine. You didn't follow the directions. Go back and read the directions. You need to tell Linux where to start looking. You need to put the path the directory you want to search. i understand that the binaries are the commands that you run in the terminal but i am very confused at what you mean by path variable. it is where the binaries are stored, but why is it called a variable? It is an environment variable that stores the path to the binaries. It is a variable called PATH. In it are a list of paths to the binaries. 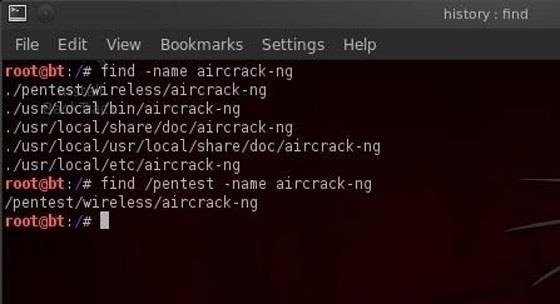 when i use find -name aircrack-ng it replies with like half path to a lot files but stops and adds :permission denied . could you please help me with this ? i was looking for linux distros to run on my old computer (and because i heard that most hackers use unix and stuff , and i was interested in being one :D ) but i happened to pass by lubuntu before i knew that kali linux is the one designed to hack . so my question is , will these commands work on lubuntu ? it troubled me alot while downloading and installing lubuntu and i dont want to go through it again , is that possible ? Hi, i am new to Null-byte. And these articles are really helpful. Thank you for these great articles. I am new in Null byte. 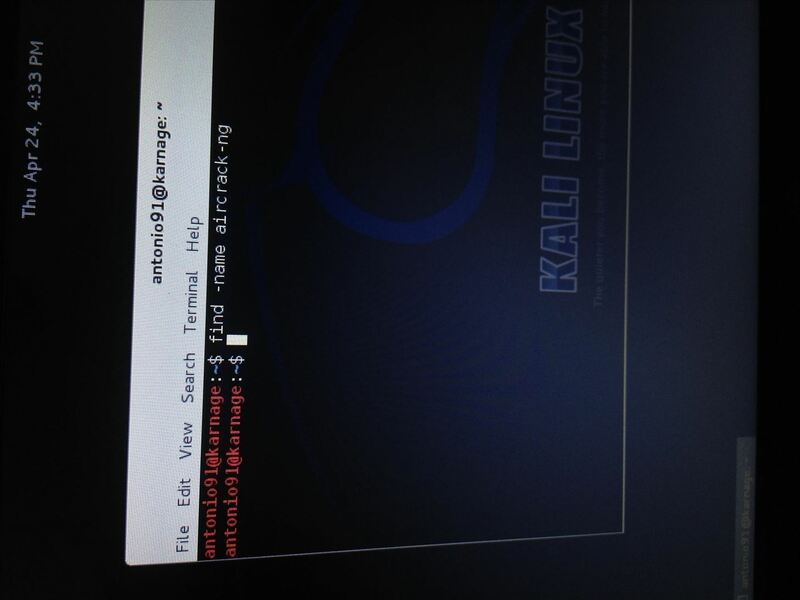 but Im using Kali linux I have some problem with these command. I read comment but i didnt get anything ? You are in your home directory. You have to switch to the root directory (cd /) and execute this command again. Jenny, you are probably in your home directory. Go to root (previous parts will help) by typing CD / and then try to look for files.